What happens when you are a lower level agent bored from a 12 month assignment, guarding a safehouse and you get the guest of a lifetime? Seems like an interesting task, until someone breeches your safehouse to get him and kill anyone in their way. In Safe House we have Ryan Reynolds as Matt Weston a greenish C.I.A. agent who is the innkeeper and Denzel Washington as the Rouge agent Tobin Frost who's been working all sides for the past 9 years. Robert Patrick is also in it in a role much closer to his The Unit days than his T2 days. Man i loved that show. 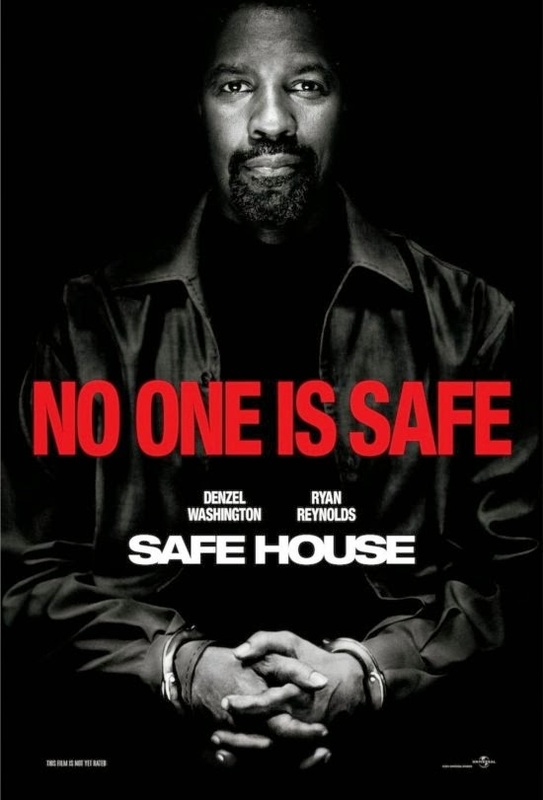 Anyway the movie takes place in Cape Town and from the moment Denzel is in the safehouse Ryan sees all kinds of things that make him think something is very, very wrong here. The action is pretty good, lots of gun battles and i chase scene but what evolves during the movie is the relationship between to people who are on outside side of the law but stuck together in the worse situation. Frost is seasoned, he knows what to do he knows what the agency is up to he wrote some of the protocols. he works Weston over because he can but he also makes him think because they are on the run together after the breach and he knows things aren't always what them seem. There are some flaws i would have loved for Denzel's character to have been fleshed out just a little bit more. We know he's in it for the money but you get a glimmer that its something more. This movie clocks in at a hair under 2 hours, with the storyline that was clearly thought about as opposed to non-stop action it seems like something was cut that shouldn't have been. I guess we have to hope for quality deleted scenes on the DVD release. I give this movie a Matinee. Its a good date movie, the women will get two swoon worthy actors and the men get the action and gun battle. I thought it was well done but it could have used a little bit more. And can i say i'm liking the trend of endings that aren't neat little packages that make you think. The Debt and Haywire both had those just cut endings were you were pretty sure what happened even if they don't show it. 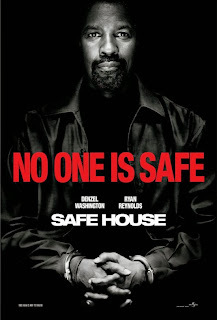 Safe House opens today in theatres nationwide.